Water is an element that emanates peacefulness and calmness into everything surrounding it. 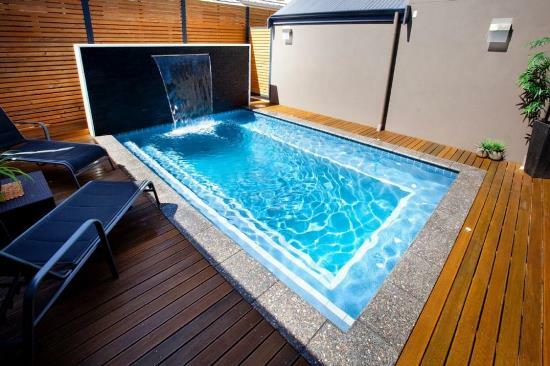 This is probably the reason why many people are attracted to water bodies. 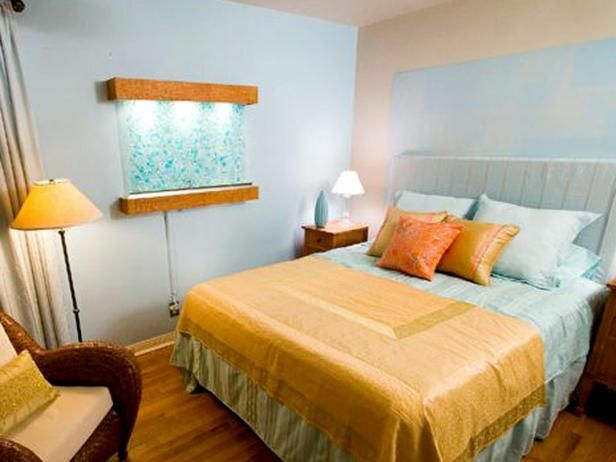 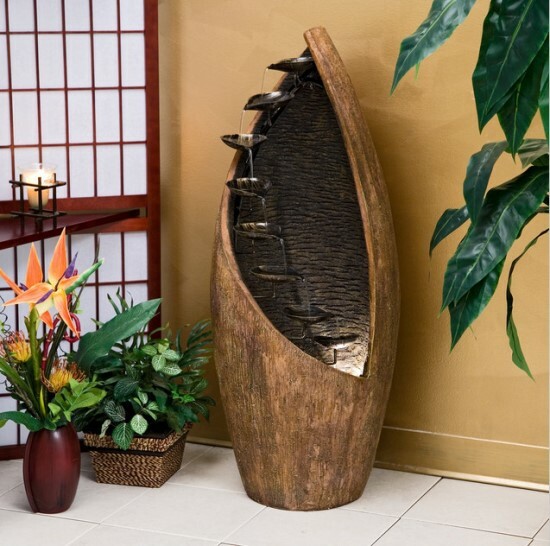 People who love the beaches often times think of getting this soothing element right into their homes to exude exotic peacefulness right into their heaven. 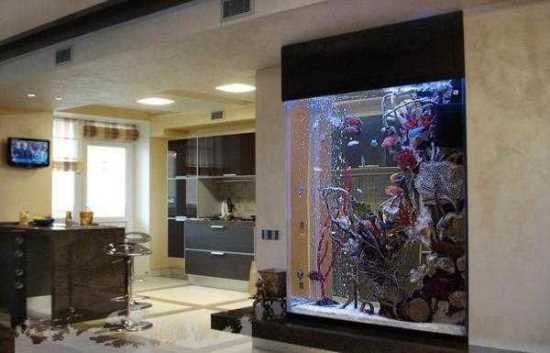 And mind you, a water feature sure has the potential to turn a place into a heavenly one. 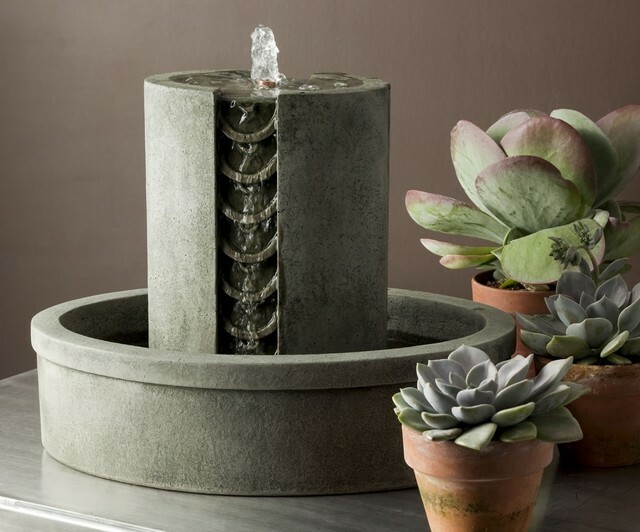 You are of course familiar with garden fountains and other outdoor water features. 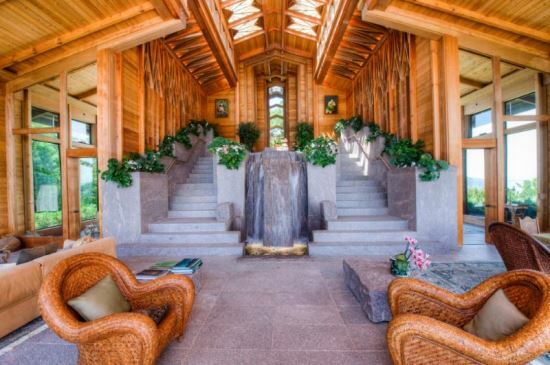 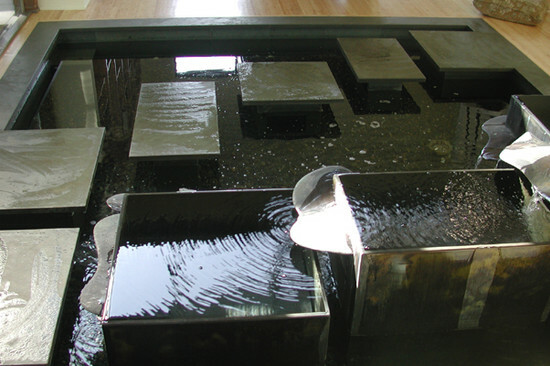 But have you ever wondered how an indoor water feature would feel like. 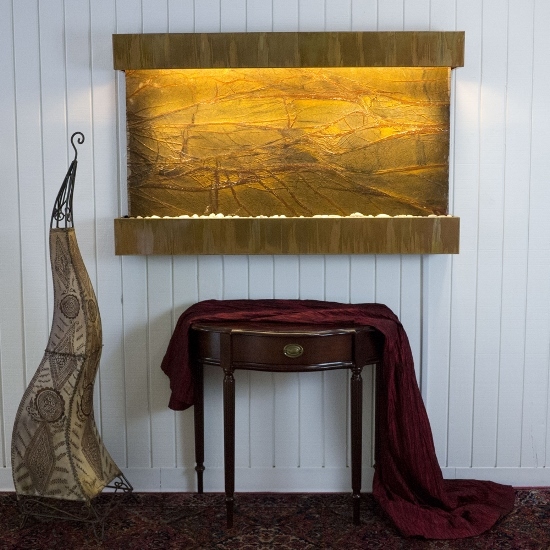 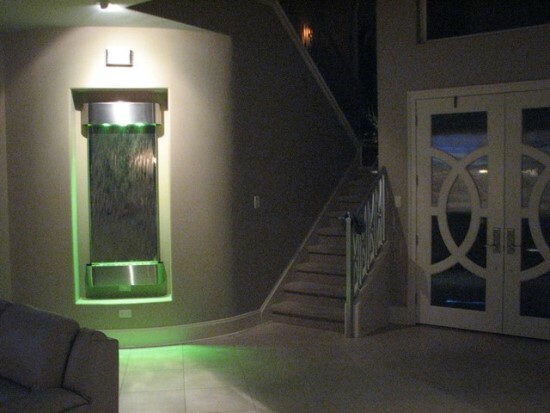 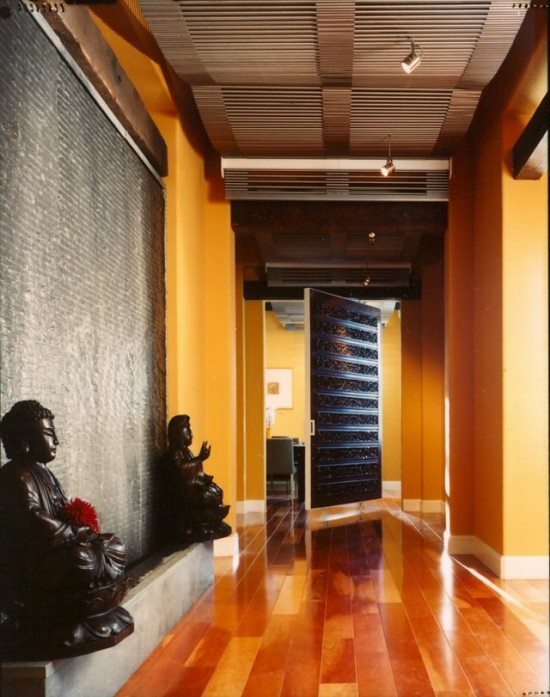 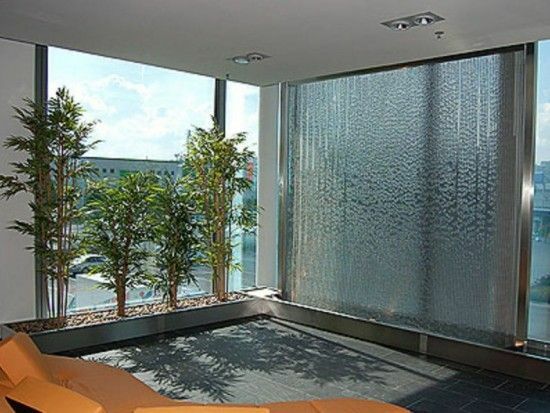 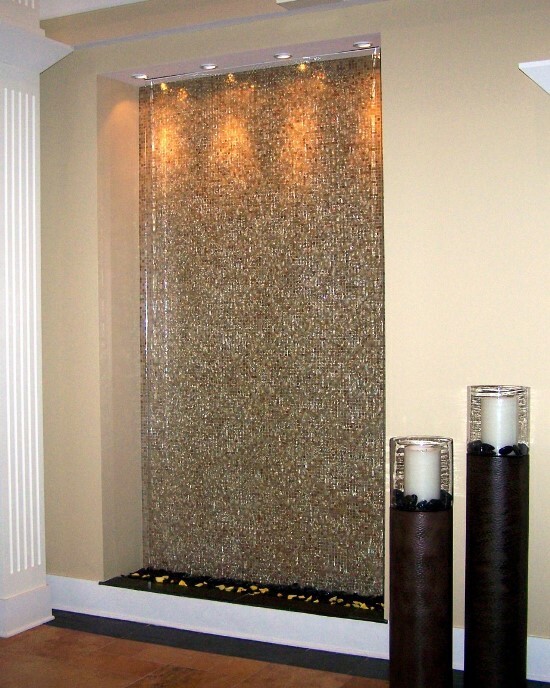 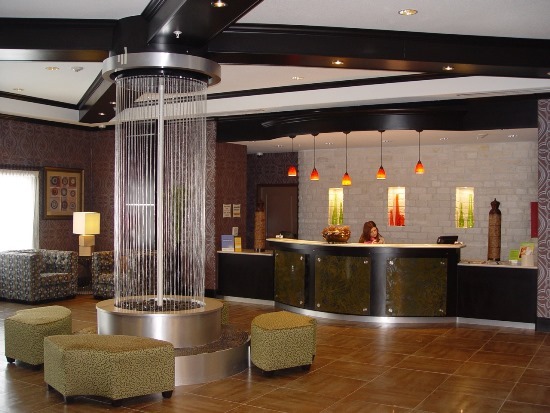 How an indoor water feature can change the look and feel of your interior? 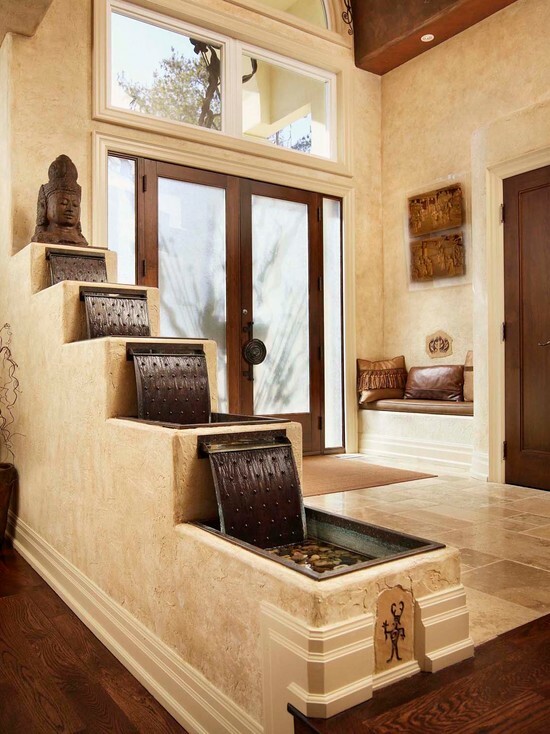 Well, it definitely will! 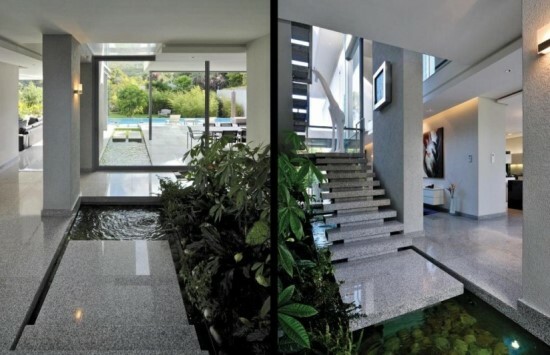 Having indoor water features is like living out a luxury in itself. 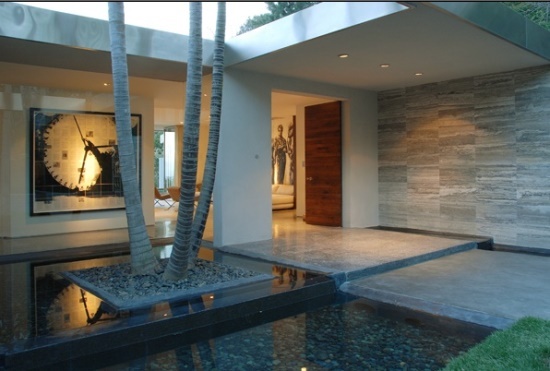 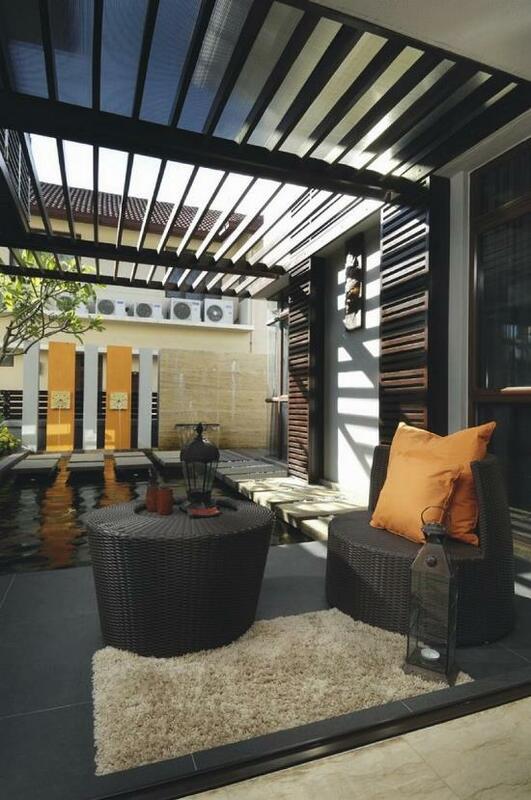 Water features look quite chic and elegant if placed appropriately and strategically. 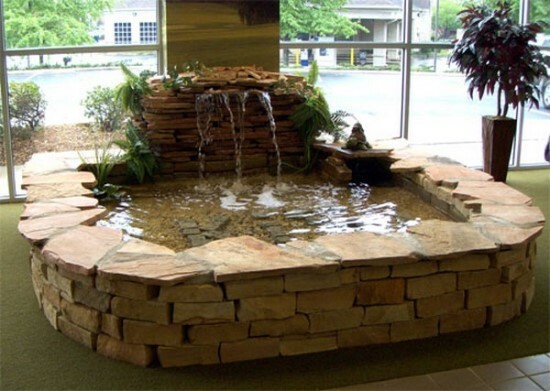 Water features are not restricted to mere fountains or indoor swimming pools. 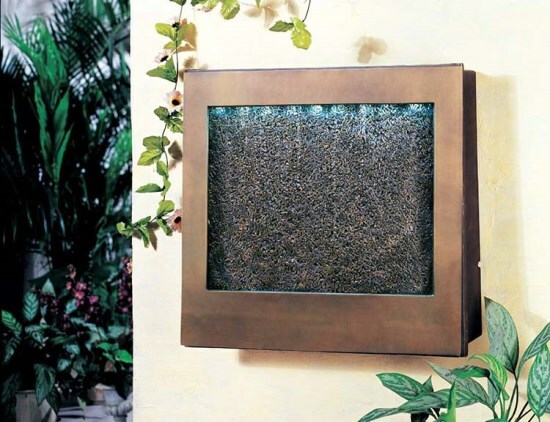 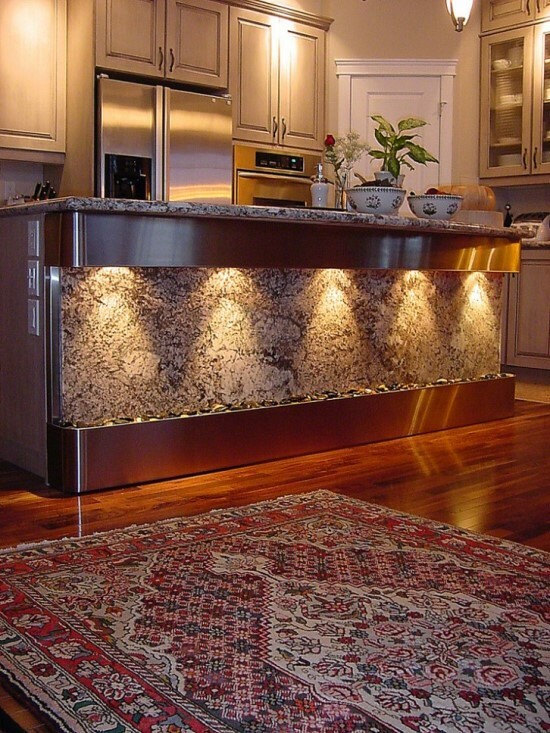 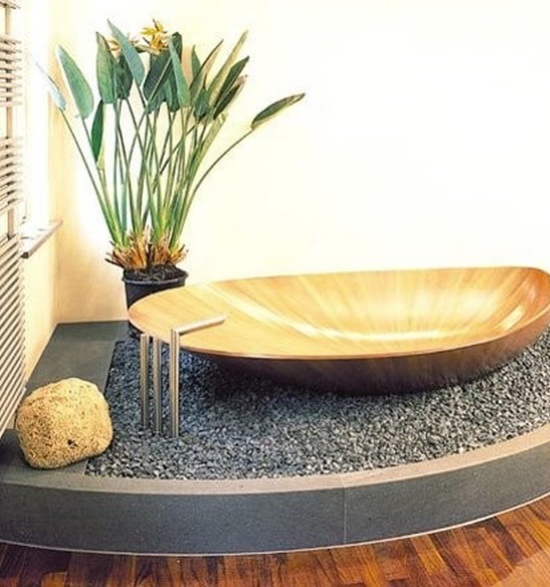 Water features are well used to bring out a natural feel right inside your homes. 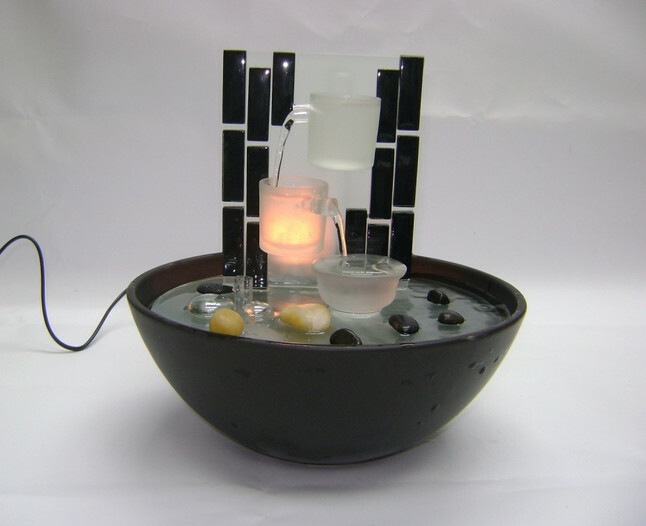 The sound of the water creates quite a soothing effect and when put to use in your home exudes serenity and calmness in the surrounding. 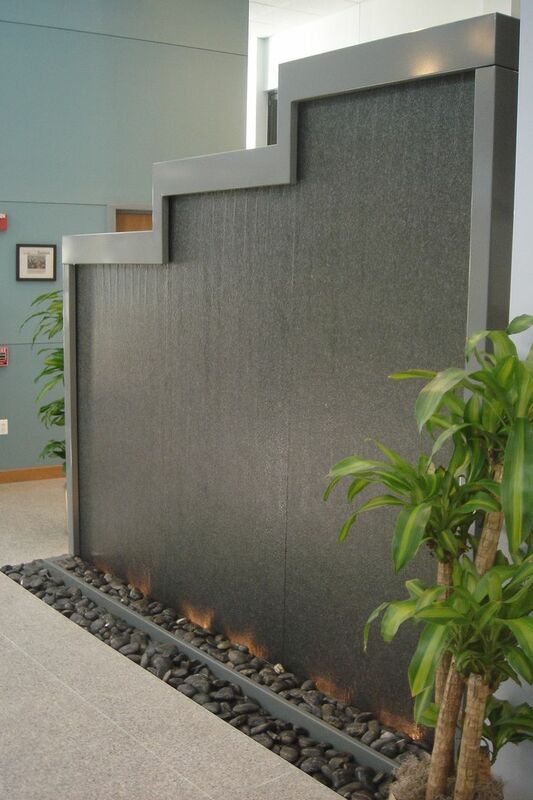 Let us explore a little of the few exotic water feature ideas. 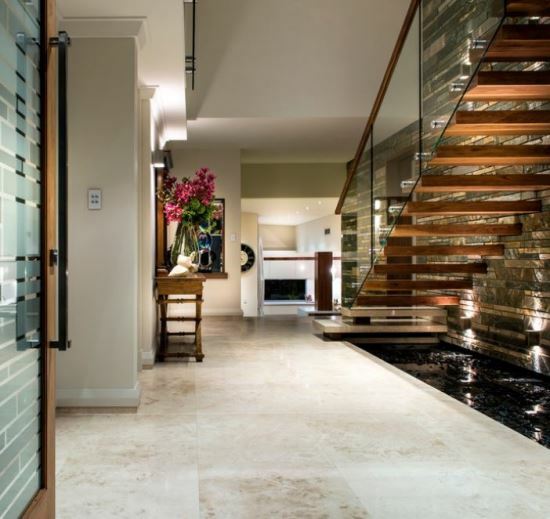 Water streams look quite beautiful, especially if they are winding down through your living room amidst a stone floor. 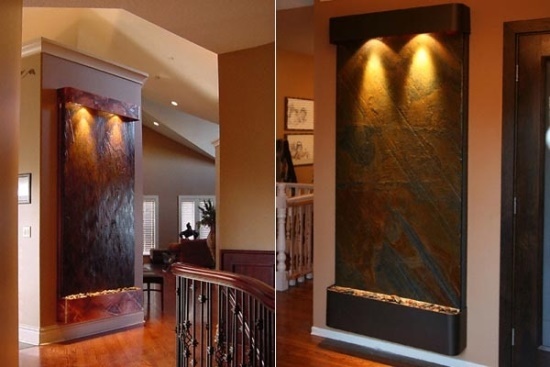 Indoor waterfalls running into a small stream through your home is quite an exotic idea of including water features in your homes. 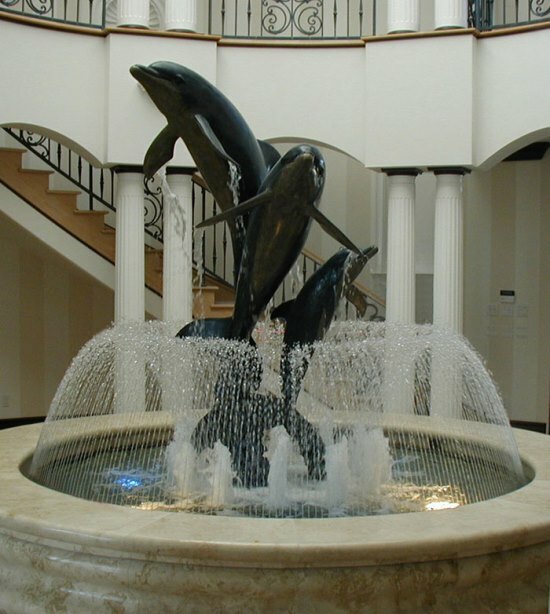 Indoor fountains have a completely unique and a pleasant feel of its own. 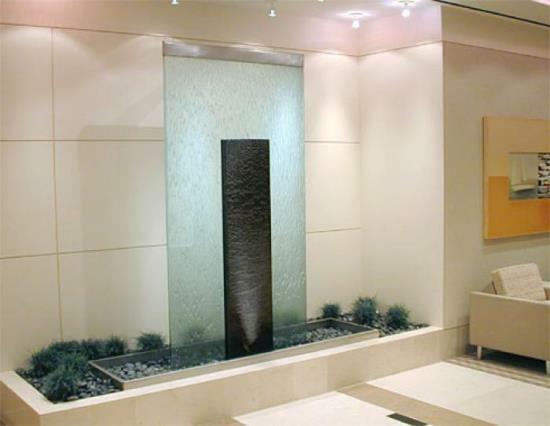 You may not necessarily have a very noticeable and large water feature with a fountain. 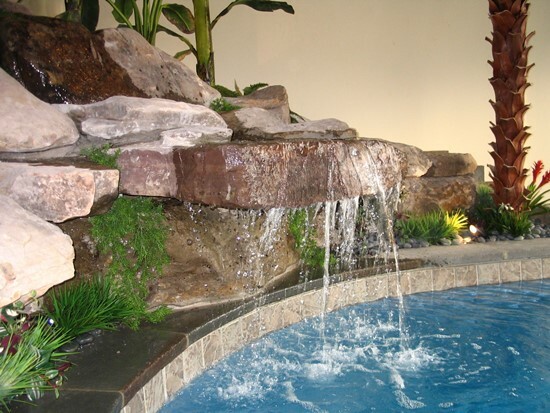 A small makeshift waterfall pond may also prove sufficient enough to have an indoor water feature. 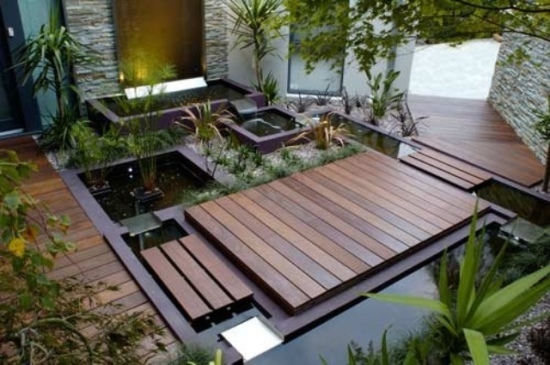 A water garden looks quite exotic, especially with those beautiful, green tropical plants that you can grow within your water garden. 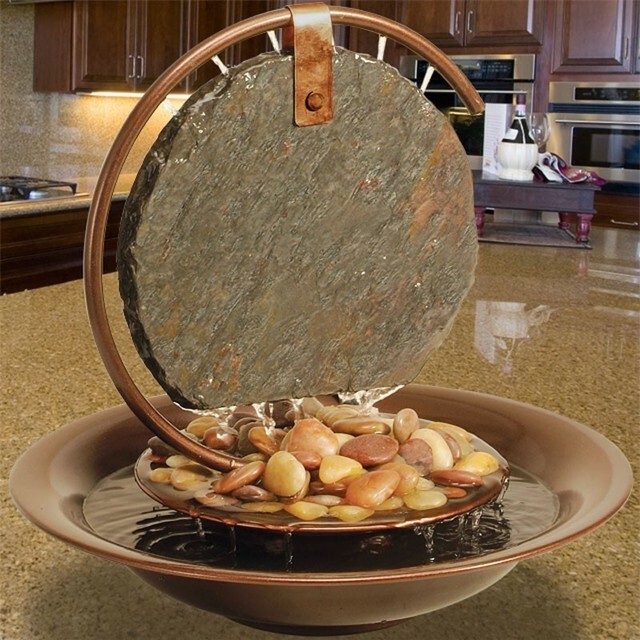 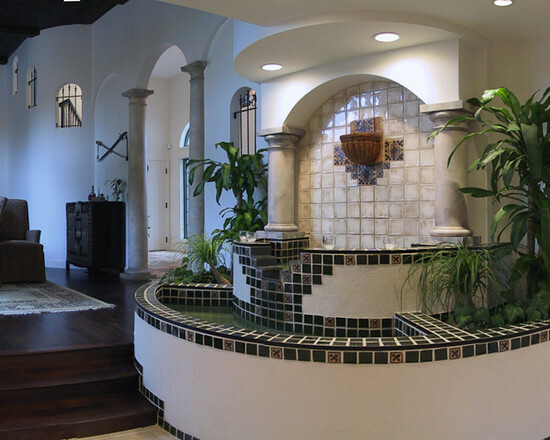 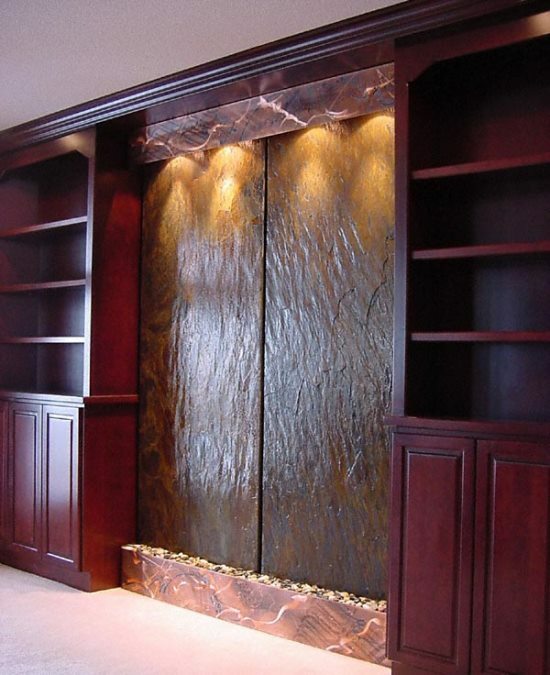 These indoor water features may allow you to build an extravagant and lavish water feature right in your home. 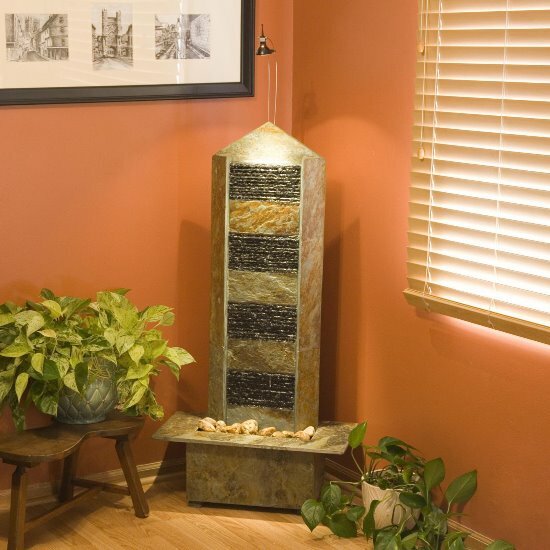 You may have a dedicated corner in your home, be it right beside your entrance or your living room or any other place you may find suitable, where you can build a beautiful water garden. 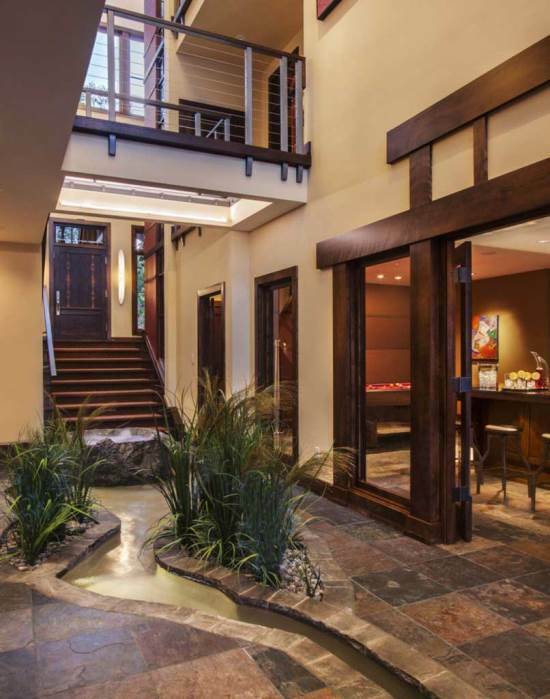 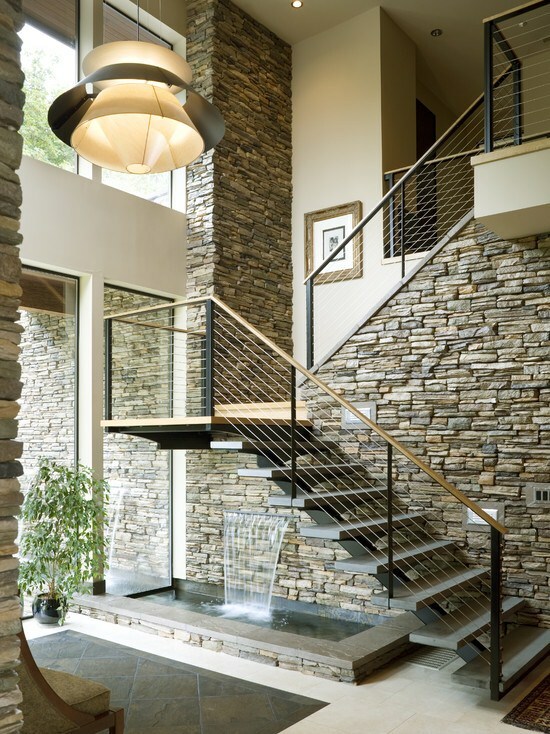 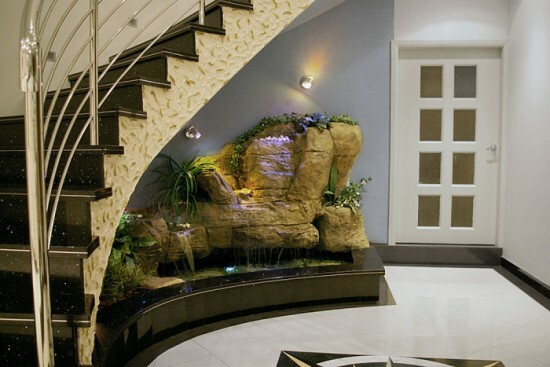 Having water feature, a small pond like structure, right below modern staircase is yet another way of bringing this natural element right into your home. 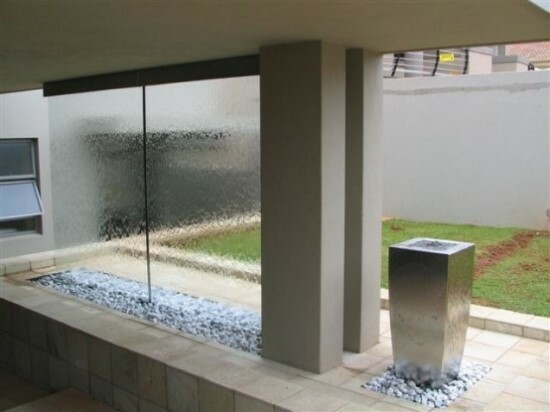 If you have glass frames on your staircase, then these will only enhance the beauty of your under the stairs water feature. 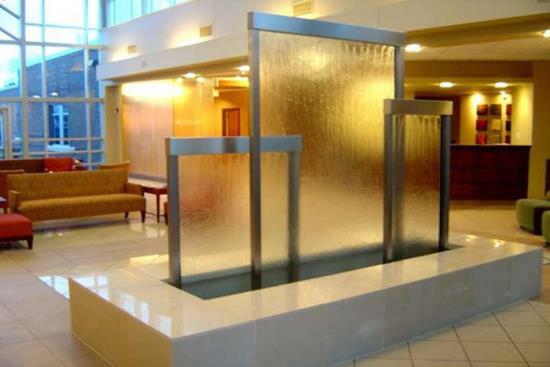 These are but a few of many amazing water feature ideas that you can use in your homes. 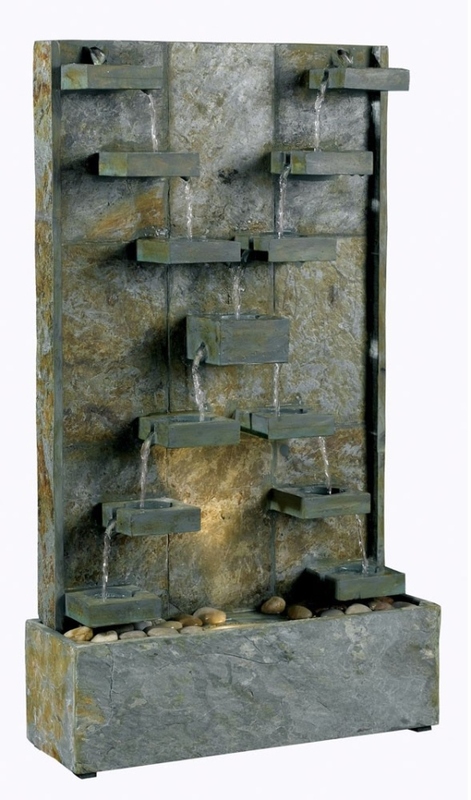 You may go from having elegant indoor waterfalls to tiny water features in your home. 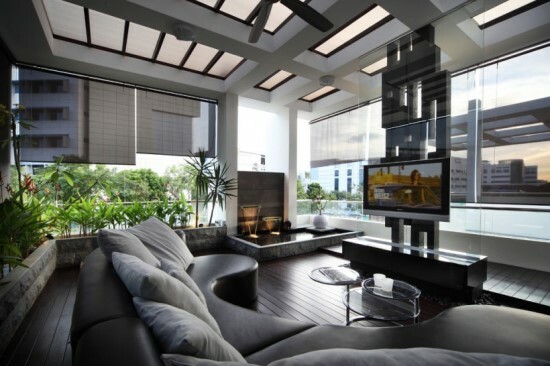 Whatever be your choice, ideas are many. 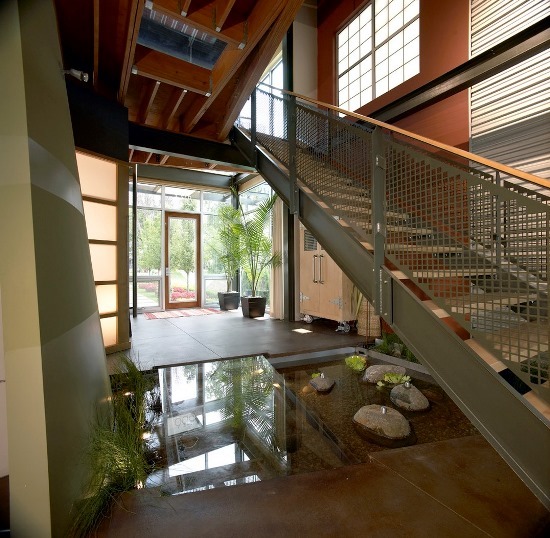 All you are to do is to implement them in your homes. 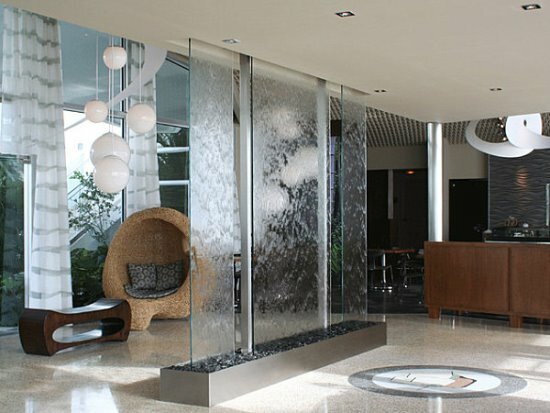 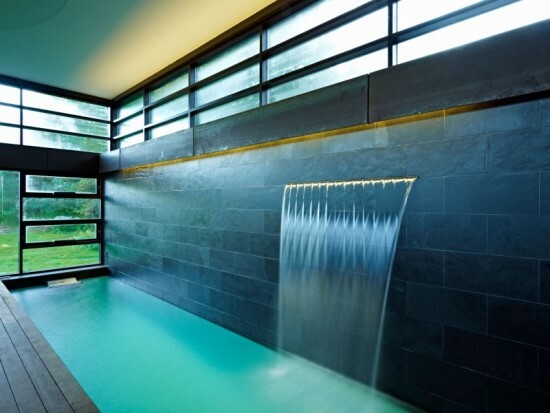 We have gathered 50 most soothing indoor water features for you to choose from and install in your homes. 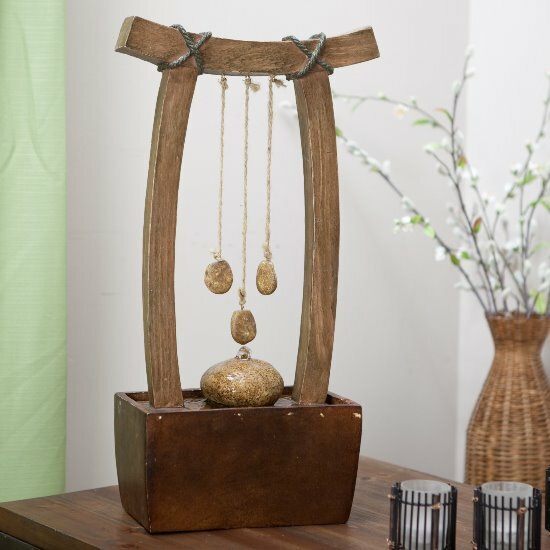 These are sure to bring peace and calm to your personal heaven on earth. 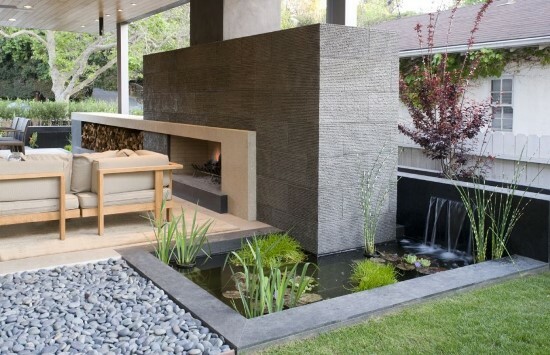 This post has given me a lot of great ideas for water features. 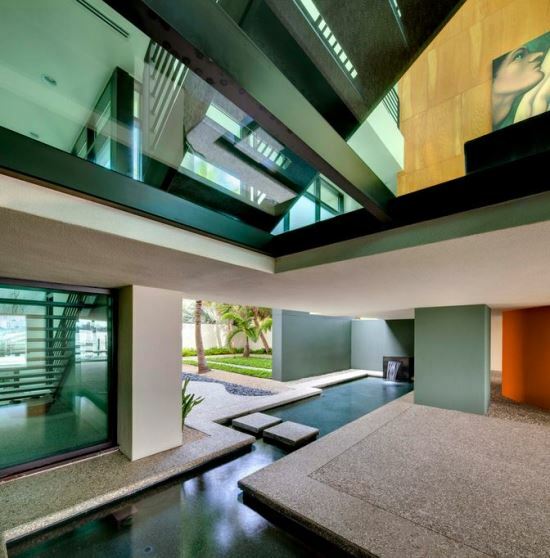 I like the design of number eight the most. Thanks for the great water fountain post.